Fire Island Ferries president Tim Mooney at their facility in Bay Shore Thursday April 19, 2018 Photo Credit: Newsday / J. Conrad Williams Jr.
After World War II, the founders of a new Fire Island ferry company scrambled to put a fleet together for service to one destination, settling on rumrunning boats, old yachts and military surplus equipment. 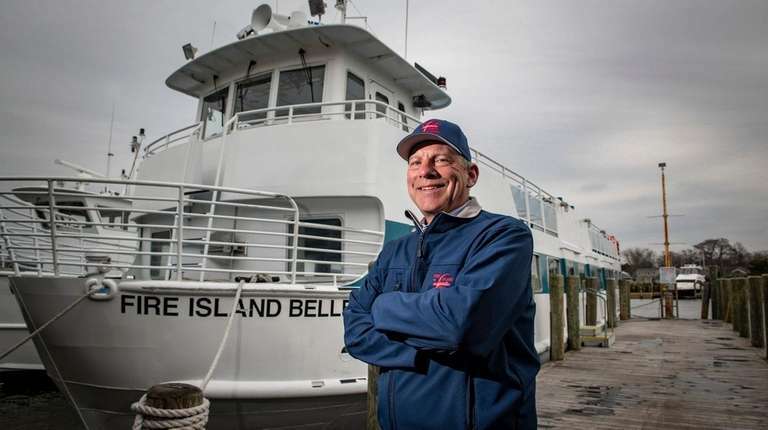 Seventy years after the maiden voyage of Fire Island Ferries Inc., the largest ferry operator on Fire Island now serves more than a million passengers annually. Edwin Mooney Jr. said he is “not at all” surprised his company has lasted so long. The 88-year-old started working for the ferry as a deckhand two months after it launched and later took the business over. 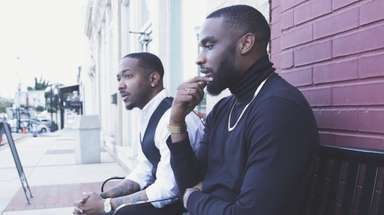 His sons, Michael and Timothy, are now the co-owners. 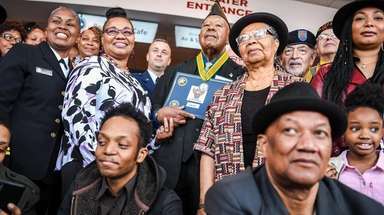 “I devoted my life to it,” Edwin Mooney said. 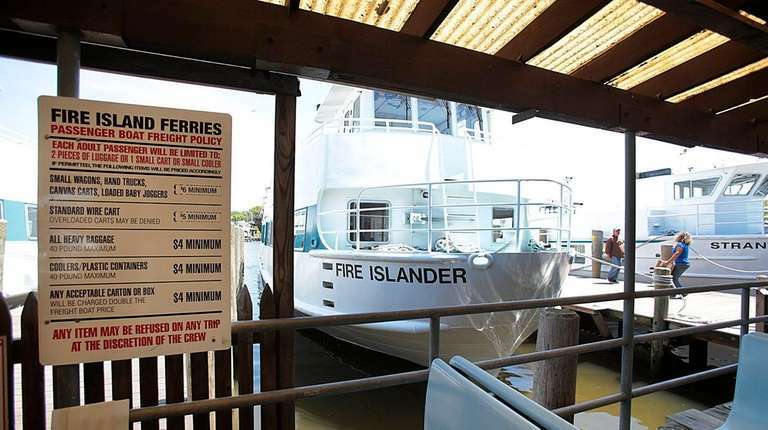 Fire Island Ferries has grown to a fleet of 28 boats and annually serves about 1.1 million people by ferry and about 110,000 on its water taxi business, which it acquired in 2004. 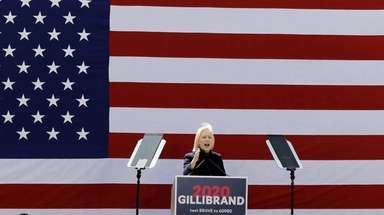 The company has had to keep up with the times for seven decades, installing technologies that either did not exist or were not common in the 1940s, including handheld radios, radar and GPS. A mobile ferry ticketing app rolled out in mid-April, and a new boat is expected to be delivered in May 2019. A new Ocean Beach ferry terminal, which is owned by the village, is under construction. The company was founded by Elmer Patterson, Bill White and Ed Davis in 1947 after winning a bid for Ocean Beach ferry service. The first ride was on May 1, 1948, before the completion of the Robert Moses Causeway. There was no ferry schedule because the fleet of four wooden boats would run nearly continuously, with a 75 cent fare. “At the time, we didn’t have enough boats for the people,” Michael Mooney said. The company soon picked up contracts for routes to Saltaire, Atlantique and Dunewood. It built a main terminal in Bay Shore on swampland and docks in Kismet, Fair Harbor, Ocean Bay Park and Seaview. 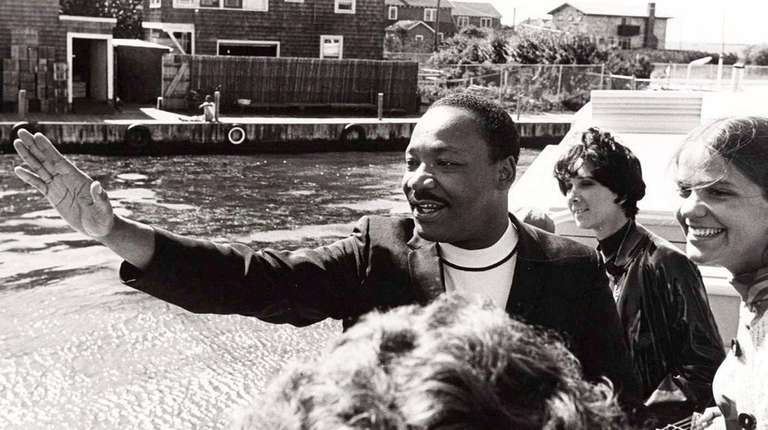 Celebrities including Marilyn Monroe, Martin Luther King Jr. and Ethel Merman were spotted onboard ferries. Comedian Milton Berle was known to “get off the boat and do something crazy” to entertain other passengers, including sticking a dollar to his forehead and asking for tips, Edwin Mooney said. Patterson sold the business to Edwin Mooney, Francis X. Mina and John Van Bree, with each paying $50,000 in 1971, Mina said. A few years later, Mooney and Mina bought the Bay Shore ferry terminal for $150,000 and bought out Van Bree’s share in the company, Mina said. Mooney and Mina had a bitter falling out, which included allegations Mina embezzled from the company. Mooney bought out Mina’s share in the company in 1989. Mina pleaded guilty in 1995 to a federal charge of making a false statement on his income tax, according to court records. He was given three years probation and paid a $50 fine, documents show. Mina, 70, said the case is related to the embezzlement. “I’m willing to admit I was a crook,” he said, but that he is proud of building new boats for the company. Mooney declined to comment on the falling out. Under Mooney’s ownership, the company became a family business. Employees have met and married each other, and their kids have worked there, too. Timothy Mooney’s daughter Morgan is a captain, and his son Brendan manages operations on land. Fred Goldacker is the longest-serving employee, beginning his tenure in 1968. Timothy Mooney said the company faces a number of challenges, including that fares are set by the Suffolk County Legislature, which last approved an increase to $19 per round trip in April 2015. Mounting regulations raise operating costs and are “death by a thousand cuts,” Mooney said, noting that changing requirements on fuel tanks have cost the company $500,000 in the past eight years. Safety concerns prompted the business to cut its 1 a.m. service to Ocean Beach last year because of “undesirables with no morals,” as the company called rowdy passengers in a Facebook post at the time. The company plans to work with local restaurants to “attract more of a dinner crowd than a drinking crowd” this summer, Timothy Mooney said. But the biggest challenge is something no one can control. 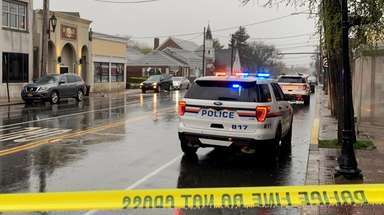 “The weatherman has a profound impact,” Timothy Mooney said, noting the business is driven by the weather. Fire Island Ferries “is very crucial to the life of the island,” both in bringing passengers and goods over and helping people evacuate during major storms, said Fire Island Association president Suzanne Goldhirsch. “The ferries are the key to that, to maintaining the quality of life out there with no cars and no roads,” she said. The 124-year-old Sayville Ferry Service and the 70-year-old Davis Park Ferry also serve Fire Island. Islip Town Supervisor Angie Carpenter said Fire Island Ferries Inc. helps “contribute to that sense of community and downtown” in Bay Shore. “They really are partners in our community,” she said.